The site is bright and funky. 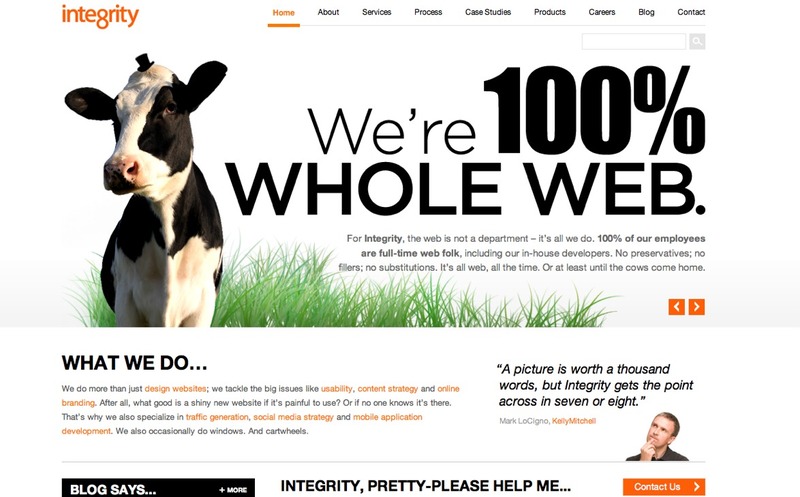 A large cow wearing a top-hat graces the main page with “We’re 100 Whole Web” to the right of the cow. What the agency does is clearly stated, and those tasks are hyper-linked to other sections of their site. The site is clean, and simple with fun and obvious graphics. There are links to their blog, case study’s and contact information. They have their own app. Mousing over certain parts of the site cause graphic to move. There is a slide show that makes bold and simple statements regarding their business and the services they offer. Those looking to better their website design and traffic. The website is meant to bring in new clients and customers. They offer services and products. 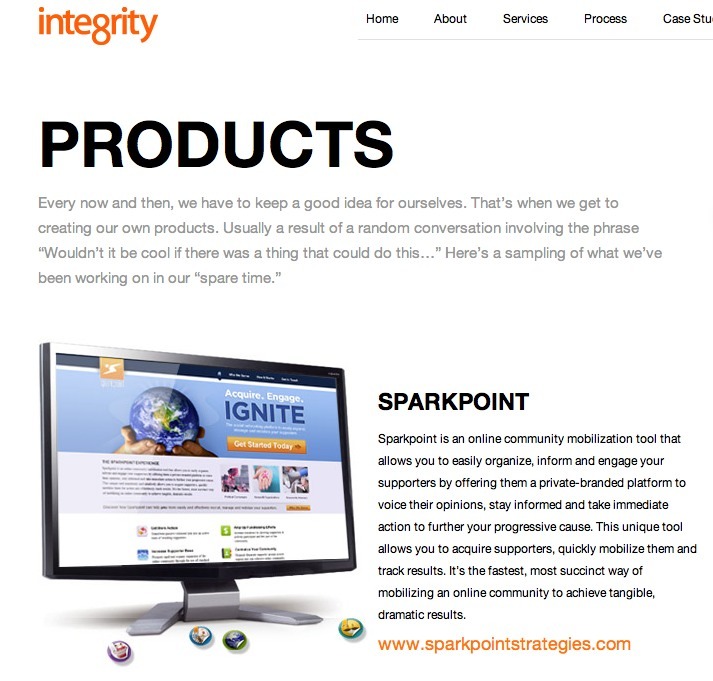 Products offered include “sparkpoint” and “only community mobilization tool,” (www.sparkpointstrategies.com _ Prevuu “a simple, web based tool that allows users an easy way to showcase screen design to others” http://www.prevuu.com and stlshopper.com a shopping site that is targeted at consumers living in the St. Louis area. http://www.stlshopper.com These products offer an opportunity to bring in additional revenue. 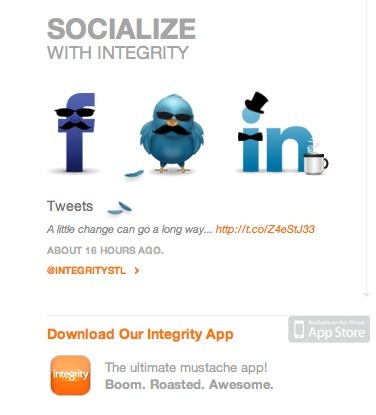 Facebook, Twitter, and Linked In options are all featured (and cleverly disguised) at the bottom of the home page. Reviews: None that I could find.